Data presented on Wednesday at the 12th ECR Hellas Conference yesterday by MRB Hellas chief executive Dimitris Macros shows that the amount of money that Greeks are spending at the supermarket has declined considerably from 2015 to 2017. The average monthly expenditure per household at supermarkets has dropped some 15 percent within the two-year period, the Shopperhood Study presented by Mavros shows, meaning that the average of 280 euros being spent in 2015 has declined to 239 in 2017. Also the amount of trips per week that consumers take to the supermarket have dropped to nine times per week compared to 10 times per week in 2015 and 36 percent of Greeks say that they do not even bother with lists anymore as the few items they plan to purchase are easy to memorize. 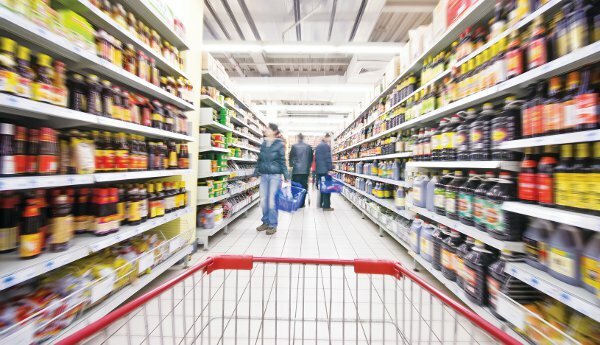 According to the study, nowadays the average weekly amount spent per household at the supermarket is 26.50 euros compared to 28 euros two years ago and 22.6 percent of those surveyed say that they are prepared to cut down on their food purchases due to economic conditions while 41.6 percent, or two out of five people, say that they are ready to cut back on other purchases, not including food.